In a hair transplant, a specialist transfers follicular grafts from a region where hair is more fertile and less likely to fall to an area where hair is missing or thinning. This sets a balance on the scalp where the hair growth is made even, and therefore a natural looking head of hair is achieved. RichFeel in collaboration with Ailesbury Hair Clinic of London designed the ‘Aesthetic Hair Implants- AHI’ technique, which is one of the most radical technologies accessible in the hair restoration industry. 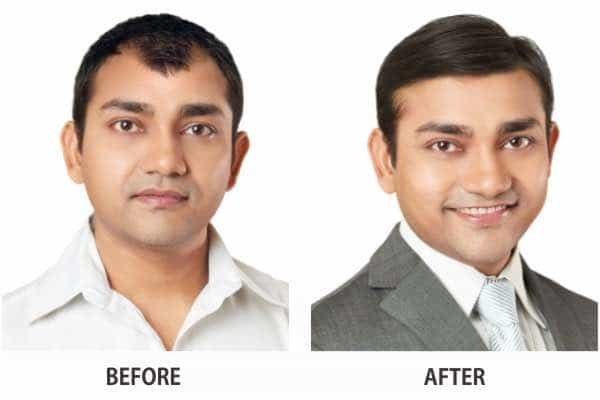 You can avail this hair transplant technique at RichFeel’s Wakad clinic. The ‘Aesthetic Hair Implants- AHI’ technique is a well-defined method wherein a mechanised extractor pen is utilised to implant roughly 3000 - 5000 hair follicles in just one sitting. The hair implanted through AHI technique have a higher survival rate as opposed to other conventional transplant methods. The transplanted hair can not only be cut and trimmed regularly, but also coloured after their initial growth. You can avail this life-altering hair restoration technique at RichFeel’s clinic in Wakad. The cost you pay for the hair transplant is equal to the follicular grafts being implanted in your scalp. Once you get a detailed consultation done at the RichFeel clinic in Wakad, the expert will help you determine the full cost of your procedure. To arrive at our Wakad clinic, the location is Unit No. 104, first floor, Ozone Springs, Survey No. 240, Hissa No. 01, Wakad. The nearest landmark to the Wakad RichFeel clinic is Dr. Helambe Hospital. We are open seven days a week from 10AM-8PM. RichFeel has many centres in Pune, customers from locations such as Shedge Vasti, Kaspate Vasti, and Bhujbal Vasti visit the Wakad RichFeel centre. If you are travelling via bus, the closest bus stop is Datta Nagar. Customers can also take a cab to reach the Wakad clinic. Gaikwadvilla Apt., 1st Floor, Office No.2, Opp. Punjab National Bank, Aundh, Pune – 411 027.